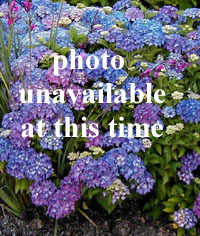 Joy Creek Photo Archive (c) all rights reserved Airy in appearance, this upright herbaceous perennial helps to draw the eye upward even as its fern-like foliage softens the border. The foot-long pinnate leaves consist of small, wavy-margined individual leaflets. The selection Thalictrum aquilegifolium 'Purpureum' has purple black wiry stems that underscore the foliage and flowering stems. Terminal clusters of half-inch flowers dazzle with their bright purple red stamens. Early summer. 2-3 ft. x 18 in.